"Santa Cruz-based indietronica outfit Stereo Stereo is on a mission to change the way people think about live dance music. In a scene filled with DJs, pre-recorded sets, and artists staring at computer screens onstage, Stereo Stereo unleashes a dance party the old fashion way- with a full band rocking out on live instruments and a dynamic singer who captivates crowds. Their sound is fresh yet familiar, paying equal homage to 80s synthpop, early 90s dance beats, as well as modern, electronic-driven indie rock. 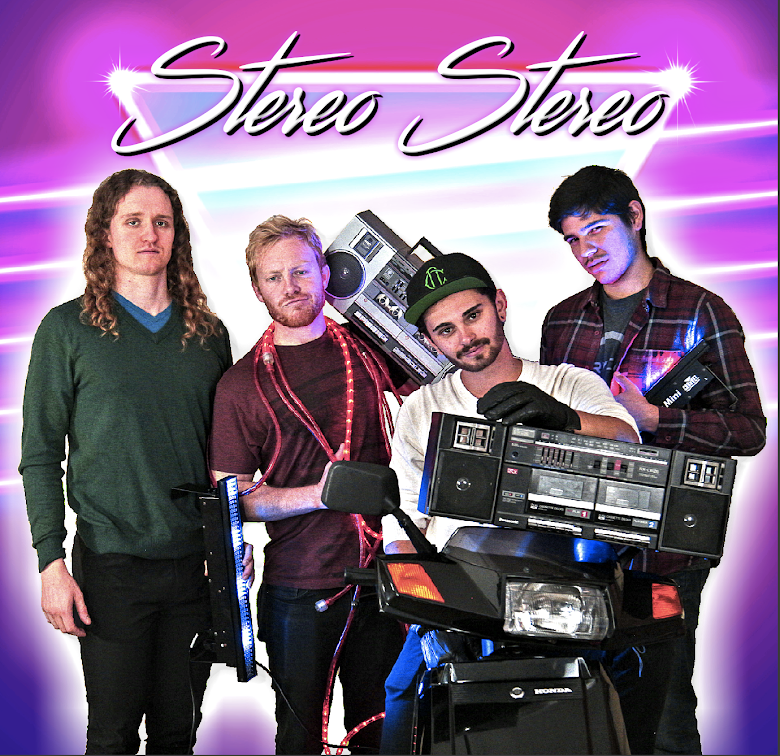 Though the true heart of Stereo Stereo's sound is found within their relentlessly catchy hooks, which will have you singing along before you even realize it's happening. The five-piece band, a motley crew of Santa Cruzians with diverse musical backgrounds, came together by chance after bassist Ian McCurdy posted a shot-in-the dark post to Craigslist back in 2011. The post, simply titled 'electronic dance band,' immediately got the attention of guitarist Brett Wiltshire, who met up with Ian and began the multiple year journey of writing music and scouring the area for the right people to fill out the rest of the band. Fast-forward more than three years later, Stereo Stereo was finally born after connecting with drummer Shaun Martin, synth maestro Shahin Gutierrez, and vocal powerhouse Riley McShane. The group is now on a mission to light up venues across the Bay Area and beyond, and with each show help crowds remember why they fell in love with dance music to begin with."